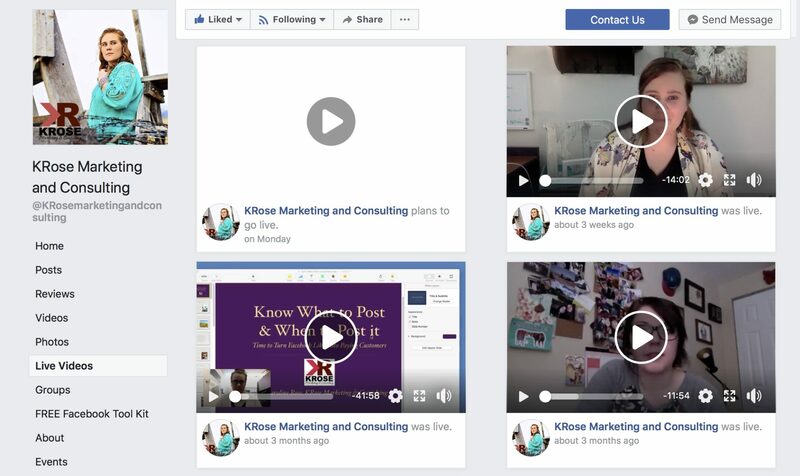 If you’ve been following us over the past few weeks, you know that the Facebook Algorithm has changed and small business owners must adapt in order to keep their audiences. You can read more about the nitty gritty algorithm details here, but today we are going to focus more on how to write engaging content. I know some of you are still worried about engaging with your followers better, but this list will help you feel more confident in your adaptability. 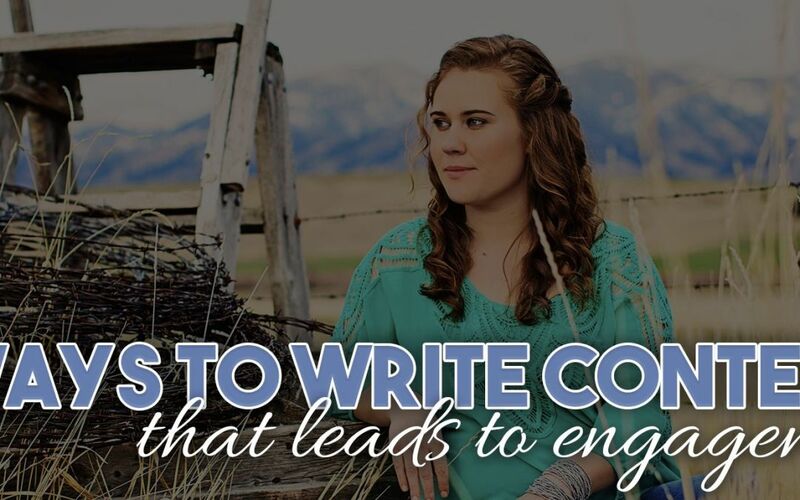 I’ve compiled a list of 7 Ways to Write Content that Leads to Engagement. it. Create videos, graphics, blog posts, etc. that will stand out in their news feeds. The content should be designed in a way that if your followers share it, they will look impressive to their followers. Flat out ask your audience to engage. Give them an invitation to share the post if they found it valuable. Something as easy as “If this speaks to you, share it with your friends and family.” Think of topics that naturally require action. If you share valuable content, you don’t need to overthink your call-to-action. But make sure to include as least one! Pose a question; ask followers to make a choice. 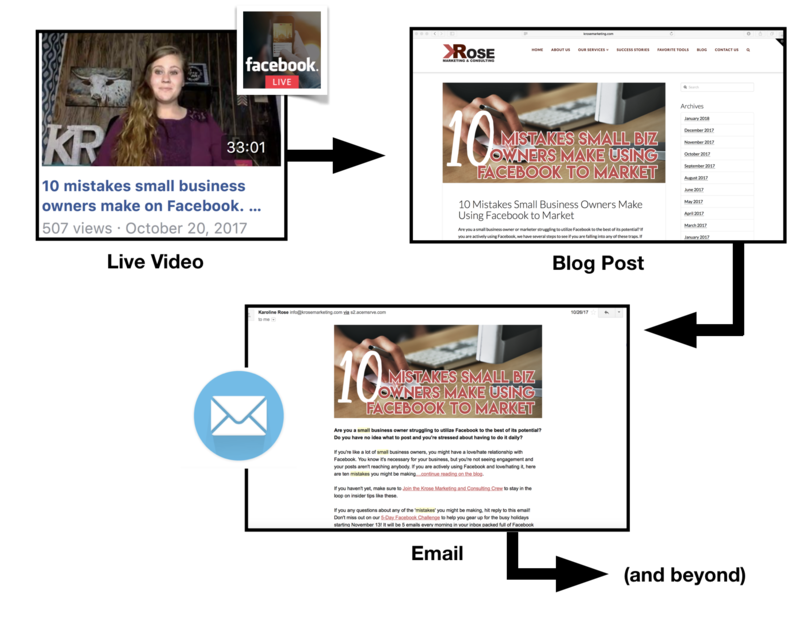 It’s important to include Live and Regular Video into your content mix. If all you post is text and graphics, you’ll quickly bore your audience. Try to mix three videos – two live and one regular – into your schedule. Your visibility and engagement will naturally increase. This ties in with mixing up content, but it’s important enough to focus on twice. Try out one live broadcast a week, and ideally plan your broadcast in advance. Find your voice through persistence and practice. Your ideal audience will grow to know, like, and trust you. They will develop an interest in the personal side of your business, which will encourage them to follow you more consistently. If you are utilizing multiple social media platforms, which we highly recommend, you have the opportunity to drive traffic to your Facebook Page through these other mediums. When you have developed your email list, you can use repurposed content from your Facebook posts and link your subscribers back. If you aren’t getting engagement, you might be posting at times your audience isn’t online. Test out different times of the day — including outside business hours. Evenings and weekends tend to be good times to target people who have full-time day jobs. This might not be true of your audience, so try out many different types. Track your stats to discover when are the best times to post. We talk in depth about this topic on our blog post Repurposing and the Value of Saving Time. Make sure to check it out! When you can learn to master this concept, content creation will become a much more tackleable task. A quick example of how to repurpose content: Let’s say you are a photographer and posted a Live Video about how to prepare for a photo session with a professional. You can then use that information to create a blog post, multiple social media posts, and screenshots from the video highlights. Did these tips help you out? Which ones are you going to implement in your social media marketing plan? Join the discussion on Facebook and keep everything organized with our Social Media Toolkit. After reading this article for the first time back in February, and about 6 more times since then, I have really changed up my Facebook posting. From sharing funny and silly memes to offering contests and asking people to share… I was able to quickly build my new following. When i launched the Facebook page for my new business I was able to rack up over 300 likes in just the first 10 days! Thanks for helping me build this business right- from the start!